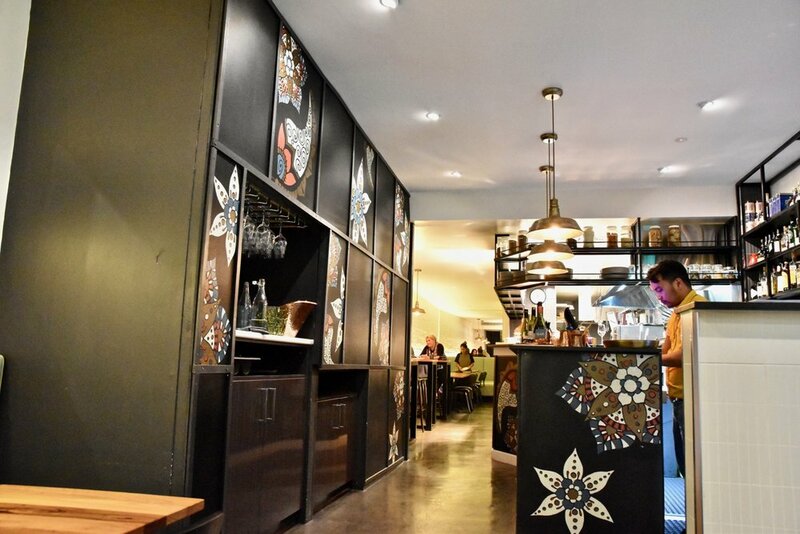 Shukah is the latest addition from the Kalian Group whose restaurants also include The Black Toro and Sezar. Often described as Sezar’s more casual and light-hearted younger sister, Shukah is all about sharing quirky cocktails and tasty modern Armenian-inspired plates with your best pals in a relaxing and sleek environment. Recently featured in the Timeout TOP 50 best restaurants in Melbourne, Shukah promises a memorable experience. Shukah draws influence from Armenian food as well as cuisine from its neighbouring regions. Top picks from the menu include their hummus – which is indulgently laced with brown butter and the show stopper charred octopus which is perfectly cooked and served with kipflers, pistachio and green olive salsa and luxurious labne. And then there is the Manti which is sheer comfort food. Turkish beef dumplings are served in a creamy sea of garlic yoghurt and sumac. Simply yum! For something heartier, we suggest you try the BBQ baby chicken which is wonderfully tender and flavoured with an enticing mix of sumac pickled onions, green harissa and yoghurt – the best part is mopping up all the juices with the fluffy pita bread.